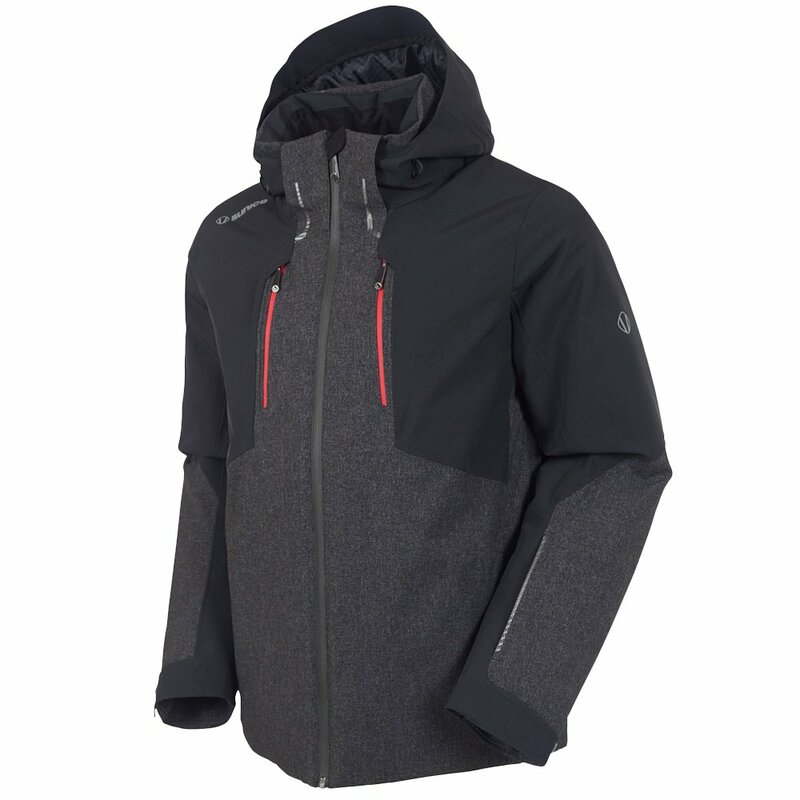 The Sunice Heli Ski Jacket is seriously ready to weather the storm. Stay warm with 100g Primaloft insulation through the body and a microfiber brushed tricot lining. 20k waterproofing and a breathable exterior protect against a soggy ending to a fun day. The detachable powder is helpful for keeping out chilly gusts and flying powder. Cool off quickly and easily with underarm ventilation and mesh inserts. The Sunice Heli Ski Jacket is meant for explorers who want to stay comfortable and prepared.